Spindle Lock Supplied with Guard. Gear head can be rotated in 90 deg steps. 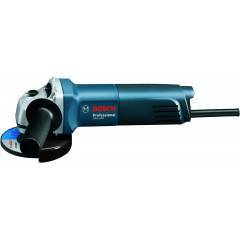 I was need Angle Grinder but I have no time to purchase it than My friend suggest me Moglix online store provide us good delivery service and good quality. Really this is awasome experience for Buying. I have owned this model with many years of dependable heavy use purchased from shop earlier and did not hesitate to purchase a second of this same model online. Received it by today in good packaging. Best quality of angel grinder. Good one. I Have owned this product since 10 days and its very handy to opreate. I purchased this product from moglix store, its very efficient and less power consuption you can used this product for cutting material It has a spindle lock feature which helps to change the grinding disc . best value for money product.